Cecil Mpoweni is the sole owner of Wishy Washy, and he will contribute a start-up fee of R30,000 to the business. Wishy Washy is registered as a Closed Corporation. Cecil Mpoweni is the sole owner of Wishy Washy. 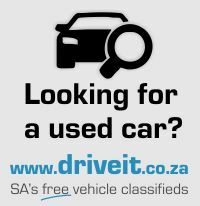 Cecil has over 10 years experience in the car industry and has a MBA obtained from the UCT. He stumbled upon the location in Bellville by accident, and felt that it would be the ideal site for a car wash service. Cecil Mpoweni will contribute a start-up fee of R30,000 out of his personal funds. The property is located in Flower Road, and Wishy Washy will sign a three year contract, starting in April 2001. The business will have the option to extend the lease contract of the expiry of the first contract. Cecil has negotiated with the owner of the property for a rent of R1,200 per month. He also has to pay an insurance fee of R200 per month, and will be responsible for the electricity bill, which is not included in the rental price. Wishy Washy will have to procure three high-power water pumps, three industrial vacuum cleaners, one computer and one cash register. The equipment will be depreciated on the accrual system over five years. The location of Wishy Washy car wash holds plenty of market opportunities. The average resident in the area is considered to be affluent, and will want to keep their expensive cars in mint condition. There are also many local businesses with company cars that need to be washed on a regular basis, but the biggest opportunity for Wishy Washy lies in the many car dealerships in the surrounding business centre. Luxury car owner: Wishy Washy will focus on this segment for their premium hand wash service. Luxury car owner takes pride in their cars and would probably become regular customers over time. Cost conscious car owner: Although Wishy Washy will not focus on this segment, there are cheaper options available for those who just want an exterior quick wash. Our main service for this segment will be the “Wash and Go” serve, which is the cheapest service. Dealerships: The dealerships in the area will constitute a large portion of the segmentation cake. Dealerships would want to keep their fleet of cars shiny and spotless and Wishy Washy hopes to fulfil that need. Local businesses: Many of the local businesses have company cars that need to be washed often. Wishy Washy will target these businesses and give them the option to get discounts for regular washes. After doing extensive market research, Cecil has found that Mondays, Tuesdays and Wednesdays are the slowest days for a car wash. This might be due to the fact that many people wash their cars before they leave for a weekend away, after they return for a weekend away or simply has more time for things like washing the car during the weekend. To counter this effect, Wishy Washy will target cost conscious customers during these days, by offering specials and discounts on Mondays to Wednesdays. There are four other car wash services in a 3 kilometre radius from Wishy Washy. However, none of these are focussed on the premium hand wash service for exclusive customers. Their primary target market are the cost conscious individual. There are other low cost car wash services in the vicinity of Bellville, but Cecil aims to attract loyal premium customers by offering a good quality and personal service. Also, he wants to sign contracts with local businesses and car dealerships, giving them discounts for regular washes. This makes it lucrative for them to continue washing their cars at Wishy Washy. Wishy Washy will outshine its competitors based on Cecil Mpoweni’s sense of business gained in his 10 years in the car repair industry. Wishy Washy will depend greatly on its ability to create loyal customers and this will be its main strategy. Cecil Mpoweni has also build voluble relations with the local business community and hopes that this will create loyal customers and in turn give Wishy Washy a competitive edge. In addition, Cecil’s experience as an operations manager has been valuable in learning how to keep overhead expenses as low as possible, and this will come in handy when creating special offers and discounts for Monday to Wednesday customers. Wishy Washy will offer discounts and special offers on Mondays to Wednesdays in order to boost sales on those days. Cecil will try to convince the business owner in the vicinity to sign contracts with lucrative benefits, and thus try to sell directly to businesses. Wishy Washy will emply three full time workers, and two additional part-time workers for the weekend rush. The Financial Plan below will outline the financial projections of Wishy Washy. Cecil Mpoweni will finance the start-up expenses of Wishy Washy, with a R30, 000 investment from his personal funds, and growth will be financed by cash flow. This will implicate a slow initial growth for the company, but Cecil do not want to involve outside investors and jeopardise his control over the direction of the company. Cecil hopes to be able to open a second location within 3 years. Fixed monthly costs for Wishy Washy are estimated to be approximately R7,500, and break even monthly units are 203 units per month.